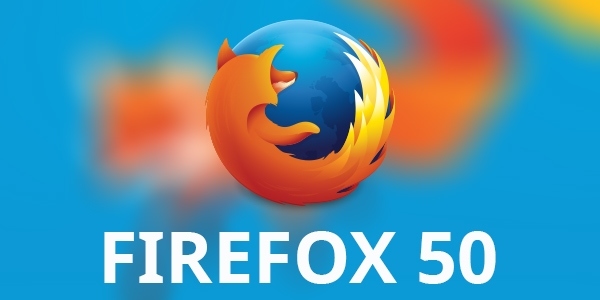 Firefox is now in its 50th iteration. Initially scheduled for the first week of November, Mozilla delayed the launch for some last minute code optimizations related to the way add-ons are invoked when the browser is started. Specifically, the developers sorted out a significant bug in Firefox add-on SDK module, so, this should speed up Firefox, especially for those that have a lot of add-ons installed. Another important update is the improved download protection. By enforcing download protection on an extended list of executable files on Windows, MacOS and Linux, Firefox will do a better job at preventing malware infections. Also, Firefox will reject stylesheets, images or scripts if the type does not match the context in which the file is loaded. The improved visual notification for insecure authentication forms should now be more legible, and subsequently, prevent phishing and other malicious behaviors.The latest security updates should strengthen Firefox security as the browser is still behind Edge and Chrome in detecting malware and phishing attacks. According to a series of NSS Labs benchmarks, Firefox has a detection rate of 78.3 percent. Compared to Edge’s 99 percent detection rate, there is room for improvement. The reason for Edge’s performance can be traced to Microsoft’s SmartScreen technology which regularly outperforms Google’s Safe Browsing API used by Firefox. Still, taking into account Microsoft’s browsers poor security history and Firefox’s open source nature, Mozilla’s browser is still a safe bet. A full list of security fixes is available here. Another update that made its way into Firefox 50 is improved keyboard shortcuts usability. For those who love the Ctrl+Tab keyboard shortcut, Firefox enables the option to modify its behavior to cycle through tabs in a recently used order. The new behavior is quite handy. You’re missing out if you are not using Firefox’s extensive list of keyboard shortcuts. For example, if you enjoy Firefox’s Reader Mode feature, then, instead of clicking the tiny Reader View icon in the address bar, you can conveniently use the Ctrl+Alt+R shortcut. While Firefox 50 is not a breathtaking update from a visual point of view, it adds a few subtle tweaks and updates that will improve the web browsing experience. The in-page search functionality has been enhanced with support for “whole words” search. Additionally, the release includes a built-in Emoji set for operating systems without native Emoji fonts. With WebM Encrypted Media Extensions Support for Widevine, Firefox supports video playback on more sites without any additional plugins on both Windows and MacOS. WebGL is now available to more than 98 percent of users on Windows 7 and newer. The detailed release notes are here. Web developers should also have a look at some of the changes brought with this update. Firefox for Android also gets some noticeable updates. The “recent” and “history” tabs are merged, and the “recently closed” section appears inside the history section. These usability tweaks were long overdue. While I’ve quit using Firefox of Android because it was trailing behind other browsers from a performance standpoint, I may give it another chance as it appears that Mozilla sorted out the browser performance issues. Firefox 50 for Android now accepts SSL certificates issues by Let’s Encrypt by default, which is great news for Android OS users. With the deprecation of support for HTML5 Battery API, Android users now benefit from improved protection from abusive browser tracking behaviors. The latest updates add support for HTTP Live Streaming, which improve the browser’s network performance on congested networks. Get the updated browser from Google’s Play Store. The full list of updates is available here. Firefox is my favorite web browser. I’ve used since the initial releases, and while I am using other browsers as well, I am a Nightly follower. While Firefox was set to become the web’s major browser, somewhere along the lines, Firefox lost momentum. While Firefox still leads in customization options, a superior add-on and personalization ecosystem, in the long term, with mobile browsing dominating the web ecosystem and a climate where customization options are axed in favor of oversimplifying things, this won’t be enough. Compared to Microsoft’s and Google’s resources, Mozilla is on a limited budget. And while Firefox is Mozilla’s main product, the foundation is more than that. 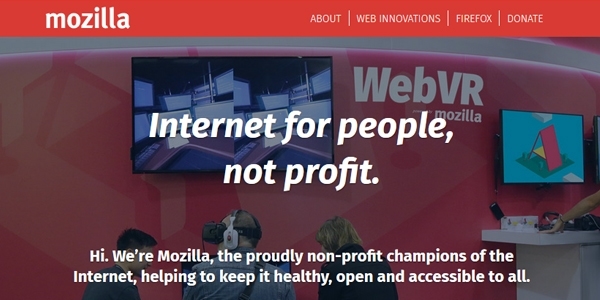 Along the years, various Mozilla tutored projects were anticipated to be game changers. Thunderbird, Persona, WebFWD and, recently, Firefox OS where Mozilla projects that were expected to deliver. The latest blog update on Thunderbird was posted on Nov. 30, 2015. Persona is scheduled to be discontinued on Nov. 30, 2016, WebFWD is an archived project and Firefox OS, much to the anger of the community, is in still waters. Currently, Mozilla is actively involved in developing A-Frame – Mozilla’s VR initiative, Connected Devices – the IoT initiative, Rust – the programming language, etc. Will these projects succeed? Will the IoT project succeed when there are already a lot of major players involved? Will hardware partners invest in Mozilla’s offerings when it just failed its Firefox OS? Time will tell. In the meantime, Firefox flatlined. 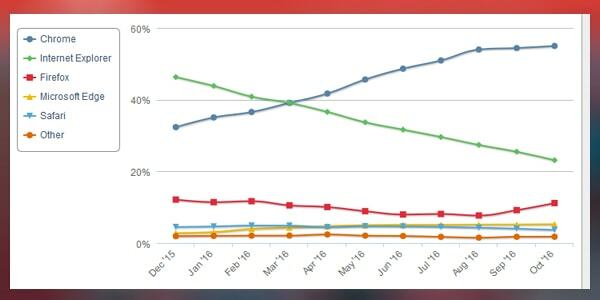 In October, Firefox jumped nearly two percentage points, recovering all the losses it suffered in the past year, but the browser which was once set to become the most popular browser is now fighting with Safari for third place. Eventually, when IE becomes extinct, it may reach second place, but in the lower part of the graph. While one may argue that it’s not all about winning the top spot what matters the most, and it’s the competition that drives success, Firefox must reinvent itself to remain relevant. Both Apple’s and Microsoft business model is not centered around their browsers. Apple sells iPhones and Macs; Microsoft has its suite of software and hardware technologies, Mozilla however, is dependent on the revenue that comes from Firefox itself and donations. At this point, it is evident to everyone that no one can’t challenge Chrome. Developed and promoted aggressively by Google, Chrome is the default choice for more than half of the internet. And when the performance differences between the main browsers are hardly noticeable for the casual user, it’s all about innovation, marketing, and efficient governance. Quantum is Mozilla’s plan make Firefox faster and more responsive and provide its users with an improved user experience. According to David Bryant, Mozilla’s head of platform engineering, Quantum is “Mozilla’s next-generation web engine.” Scheduled to be implemented in the first half of 2017, the new web engine should supercharge Firefox. “Quantum is all about making extensive use of parallelism and fully exploiting modern hardware. Quantum has a number of components, including several adopted from the Servo project,” David Bryant said @medium.com. Based on the Servo project, the browser rendering engine that Mozilla has sponsored, and been working on since 2013, the technology concept behind Quantum is about making use of parallelism and fully exploiting modern hardware capabilities. “But nowadays we browse the web on phones, tablets, and laptops that have much more sophisticated processors, often with two, four or even more cores. Additionally, it’s now commonplace for devices to incorporate one or more high-performance GPUs that can accelerate rendering and other kinds of computations,” Bryant said. Quantum will be implemented modularly in Firefox’s Gecko engine, substituting existing components that deal with parallelization and offloading to GPU. Some of the components that will find its way in Firefox are parallel layout, parallel styling, WebRender, and Constellation. Download the Servo Developer Preview for MacOS or Linux, and have a glance. “Pages will load faster, and scrolling will be silky smooth. Animations and interactive apps will respond instantly, and be able to handle more intensive content while holding consistent frame rates (…),” Bryant said. On sites optimized for parallelization, computing time will be reduced to less than a quarter of the Gecko computing time. When there is nothing to be handled using parallelization, there is still a 10 percent advantage over Firefox’s current engine. If Mozilla gets it done right, the performance difference will be noticeable compared to Google Chrome, Microsoft Edge or other browsers. By the way, if you’ve noticed and additional Firefox processes running in your task manager, don’t panic. It’s Quantum Composer doing its job. 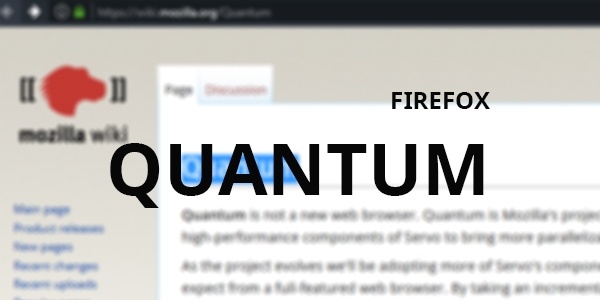 If you have Firefox Nightly installed, then you’ll find that the first Quantum component is already backed in. In the screenshot above you see the “normal” developer edition of Firefox with two running processes and the Nightly version with three firefox.exe processes. The Quantum Compositor is enabled on devices running Windows 7 and newer, with support for Direct3d 11. If you’ll open the about:support page and scroll down to diagnostic section, you’ll you see GPUProcessPid and GPIPRocess, which is the Quantum component. Mozilla chose to use the firefox.exe for the composer in order to avoid issues with security software. The integration of the compositor in Nightly is an important milestone for Firefox. While this won’t automatically translate to a market share increase, in the long run Firefox will be able to regain lost ground. Firefox doesn’t even need to return to its historical dominant market position to remain viable but it shouldn’t become a niche browser focused on users who care about privacy, customization and open source. There is a balance out there, and I hope the team behind Firefox will achieve it. It’s a complicated task, and Quantum is a step in the right direction. Just please, be careful with Tofino… Exploration is great, but we don’t need another twilight zone event like Australis…. 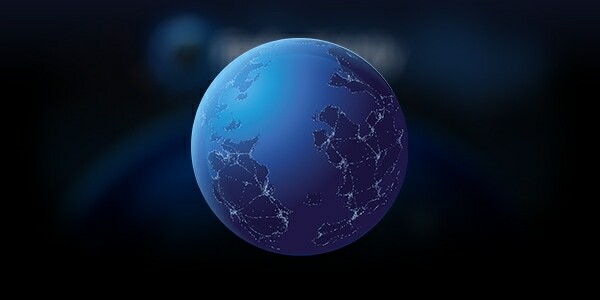 You can find out more about Quantum on Mozilla Wiki.